Home of the National Grand Champion Meats! Our family-owned business was started in 1967 by Dean and Shirley Wick. Mark Stahl, the current owner started working at Wick's in 1987. In 1991, Mark bought the business and started to expand the services. 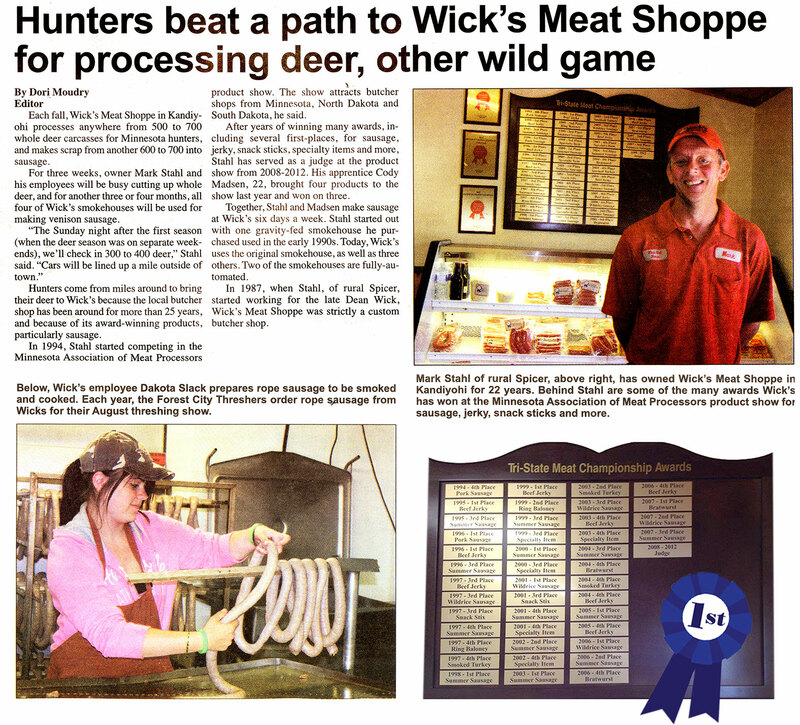 Wick's continues to do custom beef and venison processing, but also has a full retail meat counter, specializing in customer service and the finest fresh cuts of beef and pork. 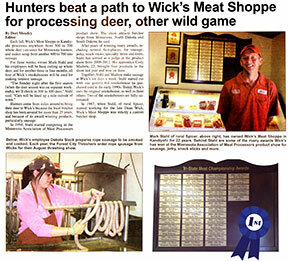 Wick's has won more than 50 awards since 1991 in the Tri-State area, including it's famous Grand Cahmpion Beef Jerky. Wick's Meat Shoppe makes many different kinds of sausages, jerky and brats. We also carry a variety of spices and sauces. We invite you to visit our shop and take home some of our award winning products. Sunray Coffee Pot, Walt's, Trav's Dino Mart, and The Pit Stop in Pennock.